Syria is now into its 8th year of civil war, and for the few displaced citizens the U.S. accepts as refugees, Jacksonville is among the cities suggested for resettlement. The city has long ties with the Middle Eastern nation, with a first wave of Syrian immigrants coming from 1890 to 1920. Fast forward 100 years, and there are still challenges to fitting in. 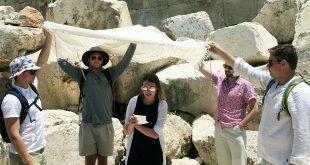 Adjusting to life in a brand new country can be challenging even under the best of circumstances, but for the Syrian children in nearby Jacksonville, a group of University of Florida students wanted to get involved personally. In an apartment complex in Jacksonville, a group of young Syrian refugees floods into one apartment every other Sunday. They meet with UF student volunteers who teach English and coach them on adapting to American society. 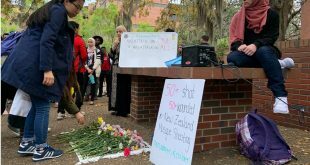 The work is part of the outreach of a UF student organization, Gators for Refugee Medical Relief. Since founding the organization last year, he’s watched the group take off. A typical tutoring session consists mostly of lessons in learning English, but it isn’t all work and no play. 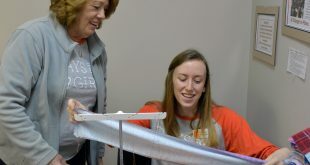 Even with so many volunteers, finding qualified tutors to teach the lessons has become a challenge. The organization recently expanded to the University of North Florida, and hopes to establish a presence at other state universities soon. It’s more than tutoring, the group also takes its medical relief name just as seriously. They’re working to raise $50,000 to help build a hospital in Turkey, which is hosting more than 3 million Syrian refugees. Grayson is a reporter for WUFT who can be reached by calling 352-392-6397 or emailing news@wuft.org. 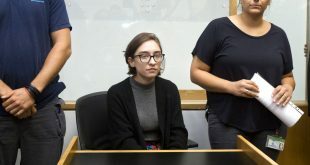 Lara Alqasem turned to the high court on Wednesday after a lower court rejected her appeal.